Installing a gutter guard on your roof is a stroke of genius because is stops leaves bird and vermin from entering your gutters. Coastal Areas in particular have a problem with birds nesting in their gutters and roof cavity. Leafshield installs gutter guard in Wollongong, Port Kembla, Kiama, Moss Vale, Bowral, Mittagong, Picton, and Bargo to not only to stop leaves entering your gutters but to deter vermin and birds from nesting in your roof and gutters. If you are a homeowner from any of the suburbs mentioned above, you may be facing the same problems. In order for you to keep your gutters unblocked, we suggest that you try out Leafshield gutter guards. Leafshield gutter guards and meshes protect the gutter against vermin, birds, snakes, leaves, pine needles, fire and other problems. Another great thing about Leafshield gutter guards is that they can be installed on any type of gutter because of they are customized to your roof . In addition, they allow you to clean the gutters with ease. For better protection against fire, Leafshield recommends that you go for fire rated gutter guard meshes. They do a great job of keeping your gutters safe from fire. 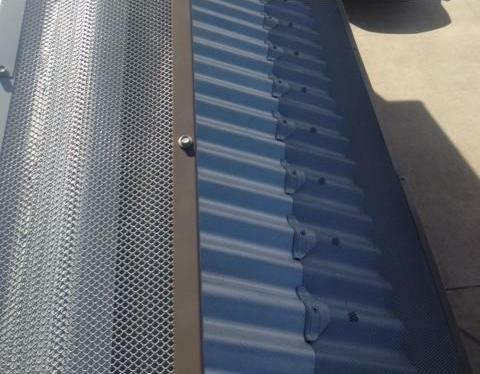 If this is the first time you have thought of gutter guards, then Stuart in Wollongong is the right person to show you our range of gutter guards. We take responsibility for the quality of our products and provide guarantees. For further information about our products, you can visit Leafshield products section. Installing gutter guards won’t take a lot of time or effort. You can install them on your own and have a professional do it for you.